As soon as I saw the Magical Mermaid stamp set I knew I had to have it. I have a friend whose daughter Grace is a qualified free diver and has her own business as a professional mermaid. 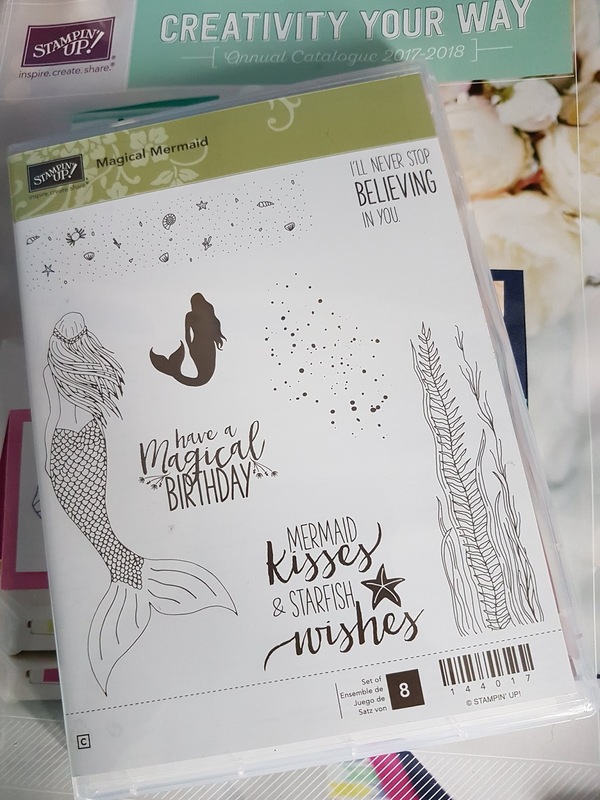 I thought of Grace the minute I saw this stamp set in the Annual catalogue that was released in June 2017. 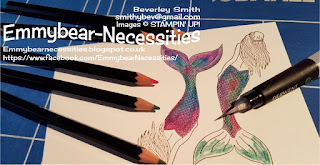 I know many crafters will be in the midst of Christmas preparations so wanted to get away from that for a little while. 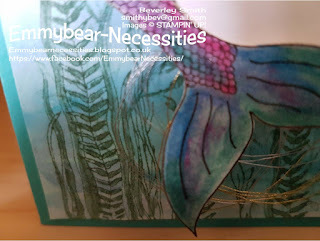 First of all I stamped the larger mermaid onto Shimmery white cardstock, twice. I coloured the tails and hair using water colour pencils. 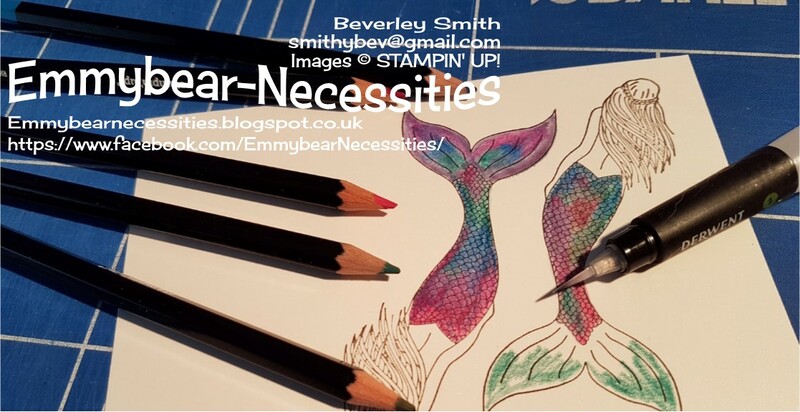 You don't have to be neat at all as the colour will move with the use of a blender pen. 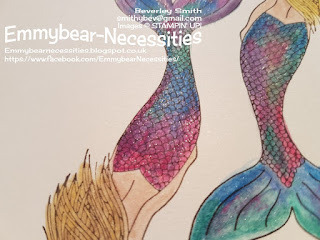 The mermaid's skin was water coloured using a mix of Crumb Cake and Blushing Bride ink. Once dry, I went over the tail with clear Wink of Stella so that it was really sparkly. It's not so easy to see in the picture but it really glimmers and looks like scales. The mermaids were then fussy cut and put to one side while I worked on the background. 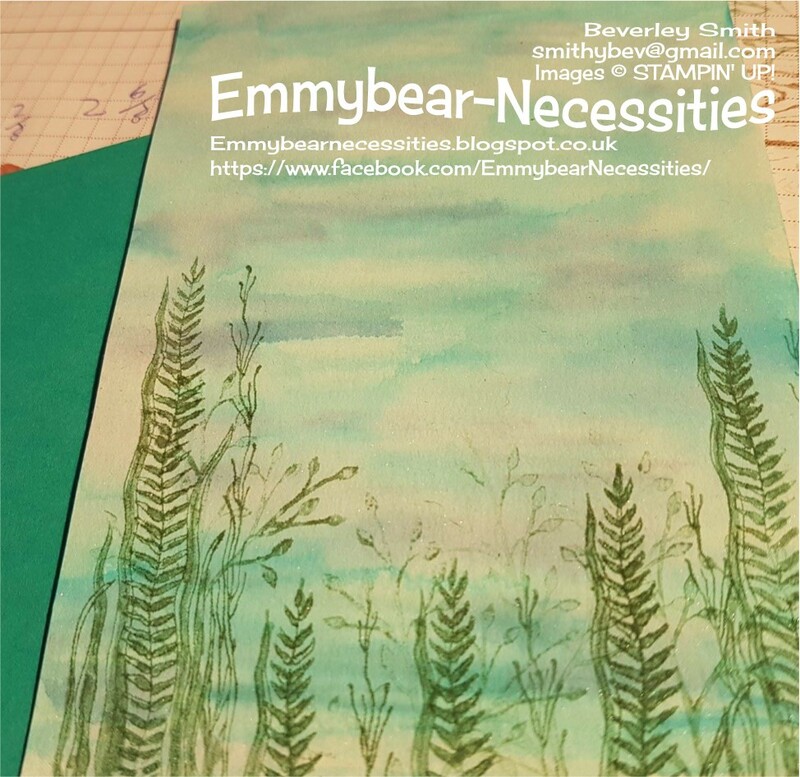 Again I used Shimmery white card stock and spritzed it with water before using an aqua painter to add a wash of ink. I started with my lightest colour first and got progressively darker as I went along. I wanted to create an impression of being in the sea. Once completed, I dabbed the card with kitchen roll to remove excess water, left it to almost dry and then placed under a heavy weight to flatten out. Using Mint Macaron I stamped foliage along the bottom before adhering to a base card in Bermuda Bay. I took my sentiment from Colourful Seasons, stamping it in Smoky Slate - black would have looked too harsh in my opinion. 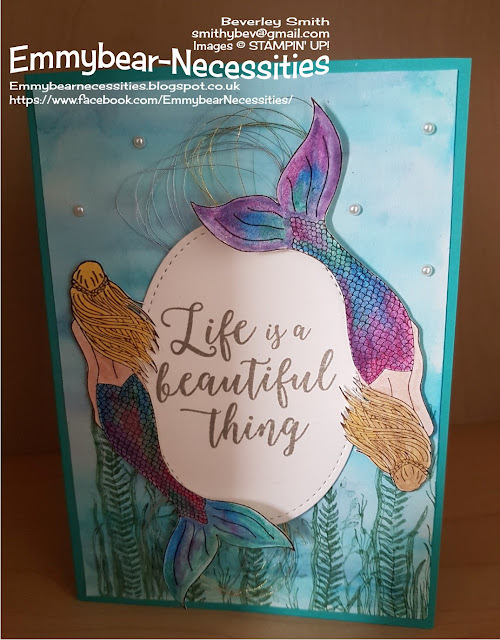 That was then die cut using the largest oval from the Stitched Shape Framelits. I looped both the silver and gold metallic thread several times and secured behind the oval. The mermaids were placed around the sentiment, using dimensionals to raise them from the card. I had curved the tail slightly so they weren't too flat. I really hope you like it.